Crunch Calhoun (Kurt Russell), a third rate motorcycle daredevil and semi-reformed art thief, agrees to get back into the con game and pull off one last big art heist with his conniving brother, Nicky (Matt Dillon). Reassembling the old team, Crunch comes up with a plan to steal a priceless historical book, but the heist leads to another far riskier plan devised by Nicky. They fail to realize each other's separate agendas when their plan goes awry in this con movie about honor, revenge and the bonds of brotherhood. Maybe someday I’ll no longer feel surprised when I see movies with notable casts go “direct-to-video”, but we have yet to reach that day. 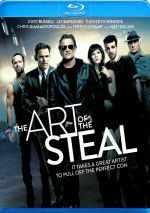 New evidence: 2014’s The Art of the Steal, a thriller with a solid roster of participants that earned only a token theatrical run. After an art heist goes awry, driver Crunch Calhoun (Kurt Russell) winds up in a Polish prison for seven years – largely because his half-brother Nicky (Matt Dillon) throws him under the bus. When he gets released, Crunch goes back to his “career” as a circus daredevil most noted for his willingness to crash his bike. Nicky continues to ply his criminal ways, though, and he attempts to reconcile with his estranged brother when he plans a new scam. This means Crunch gets the old gang back together – with a few new additions - and we follow their exploits as they attempt another big hit. Going into Art, the caliber of the cast gave me some hope. In addition to Russell and Dillon, we find folks like Terence Stamp and Jay Baruchel on display here. While this might not generate a true all-star caliber crew, it still gives us strong talents who I wouldn’t think would lend their talents solely for a (probably not very high) paycheck. However, I also encountered the usual qualms that go with the direct-to-video – or close – film. If Art had anything going for it, why not give it a wider release? Throw in the impression that Art might turn into a lower budget Ocean’s Eleven rip-off and I lacked great enthusiasm for my screening. That makes me pleased to report that Art offers a pretty peppy little ride. Does it deliver anything especially original? Nope. 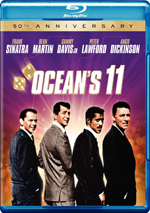 In addition to the obvious Ocean’s Eleven influence – impishly acknowledged when we see the characters pass a wax museum marquee that lists the names of three Ocean’s stars - Art demonstrates more than a hint of Usual Suspects. Despite the potential lack of originality, Art boasts more than enough zip to keep us entertained. 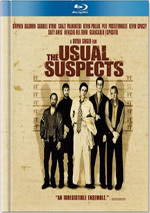 It starts strong with a lively depiction of the initial heist, and it manages to crank along with so many twists and fun character moments that we largely forget about the influences. Will the story hold up to much scrutiny? Probably not, but we don’t care, as we find too much entertainment to worry about the details. The actors certainly add to the enjoyment. All of them deliver performances that embrace the light fun of the project while they still take their roles seriously. We find no “mailed in” turns here, so the frisky acting adds to the whole experience. All of this turns Art into a charming little blast. It can come close to derailment – all its twists and turns threaten to overwhelm – but its sense of mischief keeps it on the straight and narrow. While not the world’s most original film, Art does what it needs to do to become a likable romp. Footnote: stick around through the credits for a few bonus clips. The Art of the Steal appears in an aspect ratio of approximately 2.40:1 on this Blu-ray Disc. This was an up and down transfer, but it usually looked good. Sharpness was the least consistent aspect of the image. Though most of the flick looked accurate and concise, exceptions occurred and some mild softness resulted. Despite those problems, I felt the majority of the movie offered nice clarity. No issues with jaggies or moiré effects materialized, and edge haloes were absent. Source flaws failed to become a factor here; some marks showed up during a flashback, but those were intentional. In terms of palette, Art went with a desaturated look. That made sense given the movie’s subject matter and its content. This made it tough to comment on colors, though, as the flick was often borderline monochromatic, but they hues were fine for the intended palette. Blacks were reasonably dark and tight, while shadows showed decent to good delineation. Overall, the image looked fine, though the issues with sharpness led me to a “B“ grade. I thought that the DTS-HD MA 5.1 soundtrack of Art proved effective. With its hyper-stylized feel, the movie boasted opportunities for exaggerated elements. These didn’t dominate, actually, as a fair amount of the movie stayed with general atmosphere; a lot of the flick focused on the build-up to the action scenes, and those didn’t offer a great deal of information. Nonetheless, they used the speakers to create a good feeling for the various settings, and the more active scenes kicked the package into higher gear. Those blasted various elements all around us to form a vivid setting. No issues with audio quality occurred. Speech was consistently natural and concise, without edginess or other problems. Music sounded lively and full, while effects appeared accurate. All of this created a soundtrack that suited the material. As we hit the disc’s extras, we locate an audio commentary from writer/director Jonathan Sobol and producer Nicholas Tabarrok. Both sit together for a running, screen-specific look at sets and locations, story/character issues, cast and performances, music and editing, and a few related subjects. Here we find a perfectly decent commentary but not one that works better than that. The track covers the requisite details and throws out a reasonable amount of info, so I can’t complain. However, it simply does ever become especially insightful or entertaining, which makes it firmly average. Two featurettes follow. Doing the Crime: Making The Art of the Steal runs 29 minutes, 36 seconds and includes notes from Sobol, Tabarrok, and actors Kenneth Welsh, Kurt Russell, Jay Baruchel, Chris Diamantopoulos, Matt Dillon, Jason Jones, and Katheryn Winnick. The show covers the story and screenplay, characters, cast and performances, what Sobol brought to the shoot, visual design and camera work, and general thoughts. We get another decent look at the film here, with a nice array of comments but not a ton of depth. The Making of ‘The Theft of the Mona Lisa’ lasts five minutes, six seconds and features visual look at the sequence. We see the components for the scene in question and watch how they were put together. It’s fun but I’d have liked comments about the work involved. The disc opens with ads for Blue Ruin and Man of Tai Chi. No trailer for Art shows up here. While The Art of the Steal wears its influences on its sleeve, it delivers far too much entertainment for me to fret over its lack of originality. Buoyed by a strong cast and brisk pacing, this turns into a fun ride. The Blu-ray brings us mostly positive picture and audio along with a few acceptably informative bonus materials. Fans of heist movies will want to give Art a look.